Backpacking, camping and scouting are great outdoor activities for children and adolescents, but they do require some proper equipment such as a good backpack, sleeping pad, sleeping bag etc. A good sleeping bag keeps your child comfortable and warm while he/she is camping out in nature. The offer of high-quality sleeping bags for kids is, unfortunately, very limited in comparison to the many options for adults. However, some brands do make great sleeping bags for kids. Note that the sleeping bag must fit the size of the child to be thermally efficient. 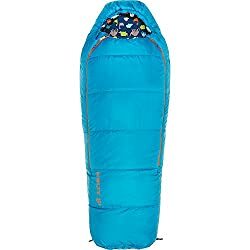 Sleeping bags for kids are therefore shorter and narrower than sleeping bags for adults to snugly enclose the body of the young outdoor enthusiast. Using a too big sleeping bag is almost like wearing a too big insulated jacket – it will not keep you warm because a big percentage of the body-warmed air will escape to the outside through the gaps. A too spacious sleeping bag also takes longer to heat up for a small person because a bigger volume must be filled with the body-warmed air. Below we selected and reviewed the best sleeping bags for kids to make your buying decision a little easier. We only listed high-quality sleeping bags that come for a great price. The sleeping bags in this review are suitable for children who measure from 3′3″ (100 cm) to 5′6″ (167 cm) in height – see the table below. Some of them are adjustable in length to follow the growth of your child. 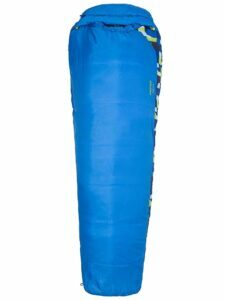 All sleeping bags in this review are suitable for three-season outdoor activities; spring, summer and fall. 1. Buying a Kid’s Sleeping Bag – What is important? Sleeping bags have either synthetic or down insulation. Down insulation provides better warmth for the weight and compressibility but is also very expensive and quickly loses its insulating properties if it gets wet/moist. Synthetic insulation, on the other hand, is cheaper and retains warmth even if it gets wet or moist. Sleeping bags for kids typically feature synthetic insulation because they have a limited utility span – at some point the child will need an adult sleeping bag and thus it doesn’t make sense to buy a very pricey down sleeping bag. Furthermore, down sleeping bags are mostly aimed towards pros who need super light gear for their demanding trips. Note that synthetic insulation comes in a range of qualities and that the best can almost compete with down. On this list of the best sleeping bags for kids we made it a priority to include products with high-quality synthetic insulation. A sleeping bag should be relatively light and pack small, especially if it will be used for on-foot outdoor activities such as hiking, backpacking and scouting. Light equipment will allow your child to hike faster and easier. In this selection we listed the lightest sleeping bags for kids we could find without compromising quality. The face fabric should be sturdy to extend the lifespan of the sleeping bag. It should also be water-resistant to prevent the sleeping bag from getting soaked in case of rain or high humidity. The length of a sleeping bag should fit the height of your child. Some sleeping bags are adjustable in length, meaning that they can be shortened with a drawcord or snap fasteners. Check out the table below to see which height(s) each listed product fits. Since the widely used EN 13537 temperature rating standard does not apply to children (it applies only to adult men and women), manufacturers of sleeping bags for kids typically use their own methods to determine which temperatures their sleeping bags are suitable for. Note that these ratings do not apply perfectly to everyone because some get cold faster than the others. Therefore, it is important to test the sleeping bag before using it for real. In this review we only listed mummy sleeping bags as these are the most versatile; they snugly enclose the body to provide good warmth and can be unzipped for ventilation. 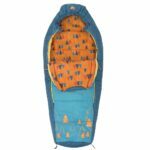 The Mountain Hardwear Kid’s Bozeman Adjustable sleeping bag is a good option for young outdoor enthusiasts because it uses high-quality insulation (Thermal Q) and thus has a great warmth-to-weight ratio. The Mountain Hardwear Kid’s sleeping bag weighs merely two pounds and six ounces and is suitable for temperatures down to 20° F (-7° C). It is also adjustable in length because it has an internal drawcord system. Therefore, it can follow the growth of your child. The sleeping bag also features an insulated draft tube along the zipper and an adjustable hood. It comes with a stuff sack for easy carrying. 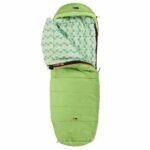 The Mountain Hardwear Kid’s Bozeman Adjustable sleeping bag is available in two different colors as well as with a right-handed or left-handed zipper. The Big Agnes Duster 15 is another great sleeping bag for kids. It is adjustable in length like the Mountain Hardwear’s sleeping bag above. 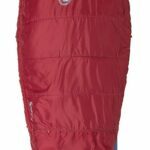 The Big Agnes Duster 15 sleeping bag has snap fasteners for adjusting the length – you simply fold the end of the sleeping bag and use snap fasteners to secure it. 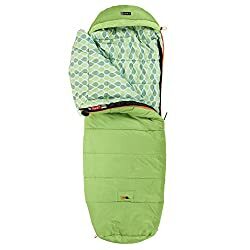 It is also equipped with hooks and loops which allow you to adjust the width of the sleeping bag and has a sleeve at the bottom for easy attachment to a sleeping pad. The Big Agnes sleeping bag also features high-quality M4 synthetic insulation, comfortable polyester lining and sturdy water repellent face fabric. For easier drying it is equipped with two loops at the bottom. It comes with a stuff sack and is only available in one color. The Nemo Punk Kids sleeping bag has the same temperature rating as the Mountain Hardwear Kid’s sleeping bag above but is slightly heavier and bulkier. 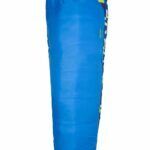 The Nemo Punk Kids sleeping bag features a very durable face fabric and is adjustable in length. It can be adjusted to three different lengths with a convenient drawcord and fits children who are up to 5 ft. tall. The sleeping bag is insulated with Stratofiber insulation and has a comfortable polyester lining. Furthermore, the hood is lined with fleece for soft comfort. The Nemo Punk Kids sleeping bag also features an integrated sleeping pad sleeve, draft collar and comes with a drawstring stuff sack. It is only available in green. 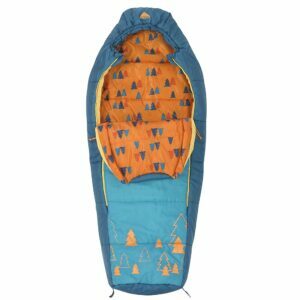 The Marmot Kid’s Trestles 30 sleeping bag weighs approximately the same as the Mountain Hardwear Kid’s sleeping bag mentioned above but is slightly less warm. It is suitable for temperatures down to 30° F (-1° C) while the Mountain Hardwear sleeping bag is suitable for temperatures down to 20° F (-7° C). The Marmot sleeping bag fits children that are shorter than 5 ft. (152 cm) and is not adjustable in length. 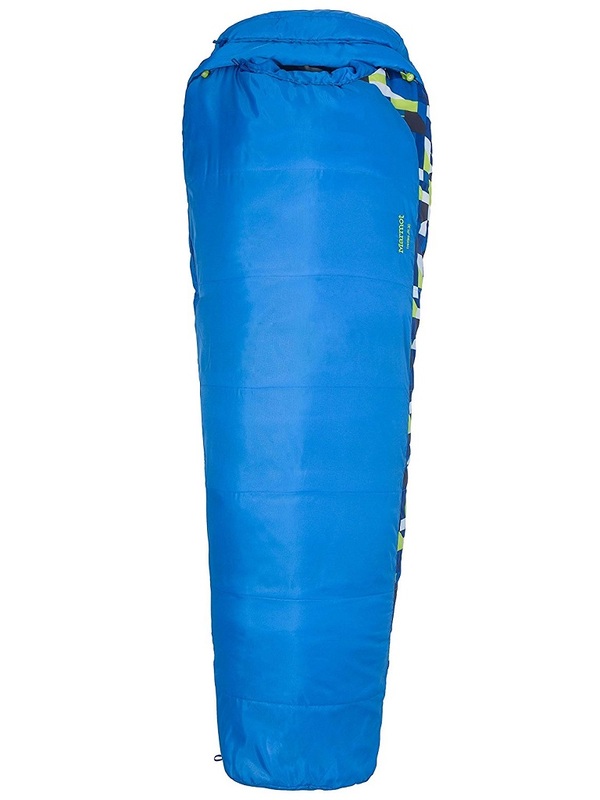 The sleeping bag features a robust 70-denier face fabric and comfortable polyester lining. It is filled with the SpiraFil LT insulation which is very compressible. It is also equipped with two zippers, a trapezoidal footbox and an adjustable hood. 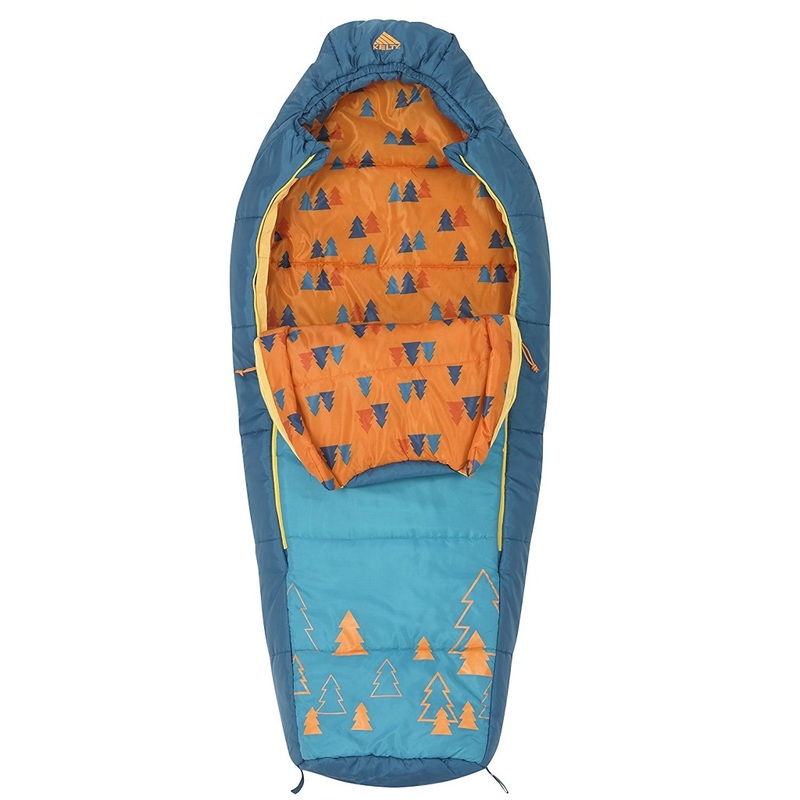 The Marmot Kid’s Trestles 30 sleeping bag is available in blue and pink. It comes with a stuff sack for easy carrying and has drying loops at the bottom. The Kelty Woobie sleeping bag is intended for the youngest outdoor enthusiasts. It fits children who are shorter than 4 ft. (122 cm). The sleeping bag features two side zippers for easy temperature regulation. Both zippers have draft tubes and an antisnag construction for child-friendly maneuvering at night. The Kelty Woobie sleeping bag is also equipped with a comfortable lining, durable face fabric and elasticized hood for cold nights. It uses the Cloudloft synthetic insulation and is suitable for temperatures down to 30° F (-1° C). 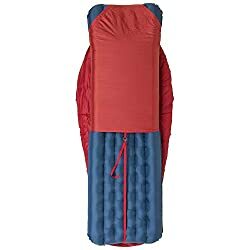 The sleeping bag is not adjustable in length. It comes in two different colors; violet and blue.